Folklore is offered in the Bachelor of Arts and Bachelor of Arts Community Studies. CBU is the only Maritime University, and one of the only Canadian Universities, to offer Folklore. Given the location and its rich heritage, offering this program at CBU is only fitting. Cape Breton is home to diverse cultures that go back many years, including Mi’kmaq and Gaelic. These societies and subcultures participate in activities that inform and perpetuate their identity, from rituals to dance, storytelling to language. The modern practice of Cape Breton cultures keep our heritage living. What Is The Study of Folklore? Folklore is the study of informal culture—how beliefs, stories, music, crafts, rituals, customs and ideologies are transmitted through intimate, direct and interpersonal communication, rather than structured institutions. Why Study Folklore At CBU? Be a part of carrying on culture for the next generation. Cape Breton is home to five Aboriginal First Nation communities. Cape Breton was also settled by more than 25,000 Gaelic-speaking Scots in the late 18th and early 19th centuries and to this day, remains the only place outside of Scotland where Gaelic is still spoken. Cape Breton Island is an ideal location for a unique look into Folklore because of the diverse cultures and how they relate to one another, including English Loyalists, Irish, Acadian French, Ukrainian, Italian, Polish, Czechoslovakian, African-American, Jewish communities, and more. Folklore students have the option of spending a year abroad at any of the universities CBU has an exchange agreement with, including Sabhal Mòr Ostaig (the Gaelic College on the Isle of Skye in Scotland), the Royal Scottish Academy of Music and more. 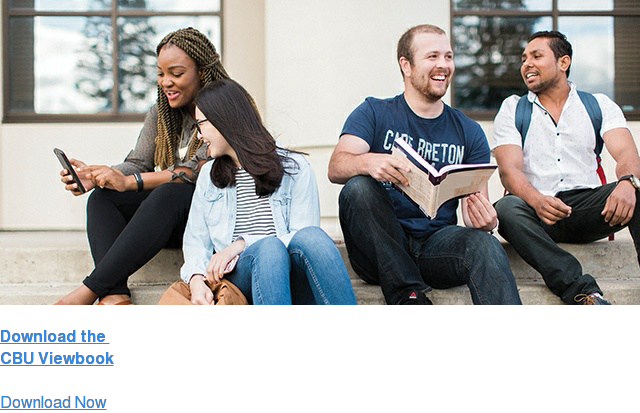 Explore the Exchange Programs at CBU. Our students learn practical skills in interviewing, fieldwork and ethnographic research while also gaining an awareness of international heritage policy issues including the recent United Nations Educational, Scientific and Cultural Organization (UNESCO’s) Convention for the Safeguarding of Intangible Cultural Heritage. Learn more about Folklore from one of our own dedicated students. Check out The Folklore Tree, a series of Youtube videos made by CBU Folklore graduate, Cassandra Colman, during her final year as part of a senior project. Folklore’s interdisciplinary nature promotes sharing concerns, methods, and insights with others. Through this group learning dynamic, Folklore students acquire skills and knowledge that are applicable in a wide range of careers. Talk to your Academic Advisor about how you can pair your education in Folklore with a post graduate program for the career you want.